In 1996, a little film studio called PIXAR unleashed a creation onto the world that would shape the very mold of feature animation. The film, titled “Toy Story,” was the first ever produced that was built completely on computer generated imagery, inspired by the very minds who helped give Disney’s animation studio a push for implementing computer animation in their feature animated films. Naturally, the response was positively overwhelming, opening up to glowing reviews and brilliant financial success. Heck, there was even major adult-audience turnout for the film—which is odd, since animation is generally regarded as a child’s genre. It was almost assured that the studio would want to capture that success with a sequel. Three years later, that possibility was realized. When “Toy Story 2” began production back in early 1998, PIXAR was planning to release the movie on a direct-to-video status—a popular format, at the time, because the Disney animation department was doing the same with sequels to their animated features. After a brief test screening and examination of the rough art, however, the studio executives knew that what they had on their hands was more than just a second-rate production. As a result, the budget was pushed higher, and the picture was given theatrical status. The decision has apparently paid off. If the recent, somewhat surprising success of PIXAR’s “Toy Story 2” is any indication of the future potential that sequels have at earning money, then Hollywood will most likely be churning them out by the truckload before too long. Already passing the elusive $200 million mark at the box office in just a little under two months, the follow-up to the studio’s mega-popular computer-animated “Toy Story” is experiencing the kind of financial success that the first film did, and believe it or not, is expected to surpass the original before too long. How can this success be explained? What has encouraged such a tremendous turnout? Why is the second film getting better praise then the first? Clearly, the evidence speaks for itself—“Toy Story 2” delights the viewer with a more interesting, thought-provoking, and intelligent narrative, whereas the first film relied on a simple and straightforward story to carry the images. 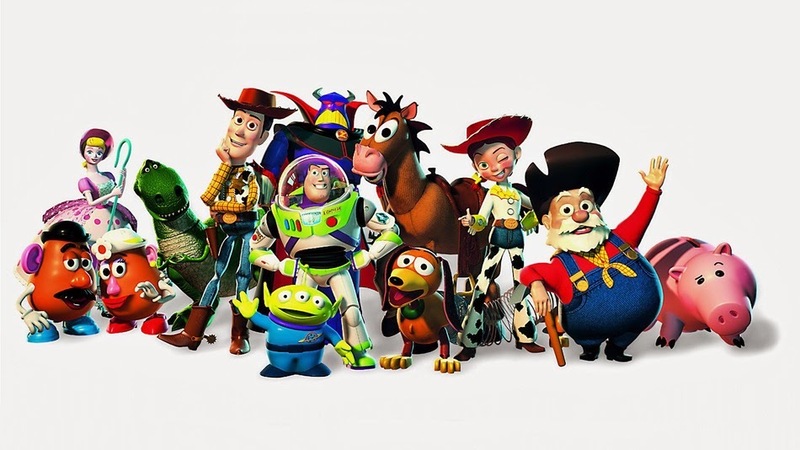 Another key to their success is in the lavish characterizations, and “Toy Story 2” continues to expand upon the characters established in the first film, while at the same time introduces hordes of new characters; most of which are colorful and fun, others are foreboding to the intricate plot. Take the character Woody as a prime example of expanded characterization: during the first picture, from the moment the newest toy stepped in and took over the popularity status in the house, the ol’ cowboy was absorbed by a personal vendetta to rid Andy’s room of Buzz Lightyear, whereas in the sequel, Woody is forced to question his own value system, and make decisions regarding the toys around him, and his owner. Furthermore, the character of Buzz Lightyear does not wallow in his own self-pity like in the first film, but works as part of the team to rescue Woody from a clumsy toy store owner. Both of the main characters are so elaborated upon, no wonder the audience grows to appreciate them. It is possible, indeed, that PIXAR is one of the first studios to realize that sequels should be made to expand upon their predecessors, rather than being made simply to bring in millions of dollars. Yet, despite the brilliant advancement in the computer imagery and strength of the screenplay and characters, neither of the films are masterpieces In the first film (which was sort of experimental for PIXAR and its use of CGI effects), many of the human characters were ragged and obvious, wandering on screen in between toy conversations and sudden mishaps. The shape and conviction of these humans was positively scary—proof that digital actors could never replace live ones in the future. As much as the sequel is enjoyable, however, the humans in “Toy Story 2” are not much better-looking; they have the same artificial look to them. Thankfully, the humans do not occupy the screen quite as much as they did in the first film, but all three of PIXAR’s feature-length projects (“A Bug’s Life” being the other) have established that humans made up of computer graphics seldom entice the screen as much as the others do. Plot-wise, compare the simplicity of the first film to the complex roots of the second—the difference is amazing. The first movie begins to establish characters, and explores all the basic morals of life such as friendship, prejudice and acceptance; meanwhile, the second film celebrates those instituted morals and weaves them in with new, interesting characterizations, such as the long-anticipated incorporation of Barbie into the PIXAR franchise. In other words, the sequel digs beneath the surface of what the first film barely scratched. Of course, both films are regarded as instant classics, at least by the audiences and critics who embrace them. But they are not complete successes, sadly, because neither have established the notion that humans look more plausible in hand-drawn animation rather than in computer imagery. There are, of course, smaller flaws that accommodate both, but those who have flocked to the theaters do not care about small little quibbles. 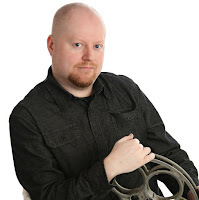 What moviegoers really care about is seeing an enjoyable movie being improved upon with a stunning sequel, and, for the first time in years, they are given one that surpasses its predecessor. There currently is no tentative release date set for the video of “Toy Story 2,” but when it does happen, expect healthy sales just like its predecessor; the first film has even been rereleased on home video recently. With all of this deserving hype surrounding the second picture in this promising series, suddenly a “Toy Story 3” doesn’t seem like such a bad idea.